Save time and money every time you ride! Anyride lets you compare Uber and Lyft and call the best ride with a tap. Get the best prices and book easily with the ultimate ride hailing tool. Choose your destination to see all live, exact fares options from Uber and Lyft. Then call the best option with a tap! Anyride is the first app to bring the full power of Uber and Lyft together in one place. - Call any ride with a tap! - Automatically makes use of all coupons, promotions, and credit on your account. - Quickly call a ride to a recent destination, or a saved favorite. - Quickride: Long-press on a ride to automatically find the best ride and call it after a five second countdown! 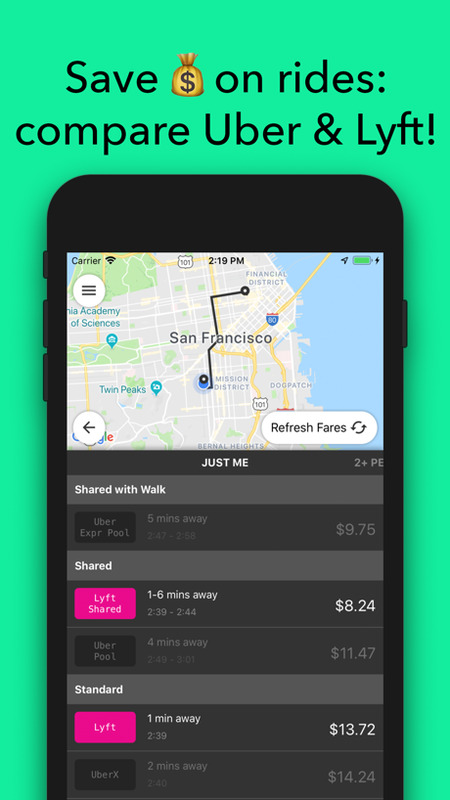 Only Anyride lets you see all exact fares and call them without having to open another app. Anyride will save all ride destinations to "Recent Locations". You can swipe left on any recent location to rename it, add it to favorites, or delete it. You can also clear all your recent locations in "Settings". Quickride is the fastest way to call a ride to a common location. First, set which types of rides you're okay with in settings. Next, long press any of your favorite or recent destinations. Once the fares load, the app will countdown from 5 then call the cheapest option! Quickride is powerful, so be careful! If you mess up and don't press "back" quickly you might end up with a ride you'll have to cancel! Yes! Just long press on the fare from the comparison view and it will open directly in the app. Note that the price may change slightly when opening it in the native app, whereas calling it directly from Anyride is guaranteed to get you the shown price. Anyride's mission is to promote a healthy and competitive transportation marketplace within the United States. Americans are fortunate to have multiple rideshare options. In many countries around the world, ride hailing apps have been monopolized so that there's only one overpriced option. We believe transparent comparison of rideshare providers ultimately means better prices for riders, more jobs for drivers, and more innovation from rideshare providers. 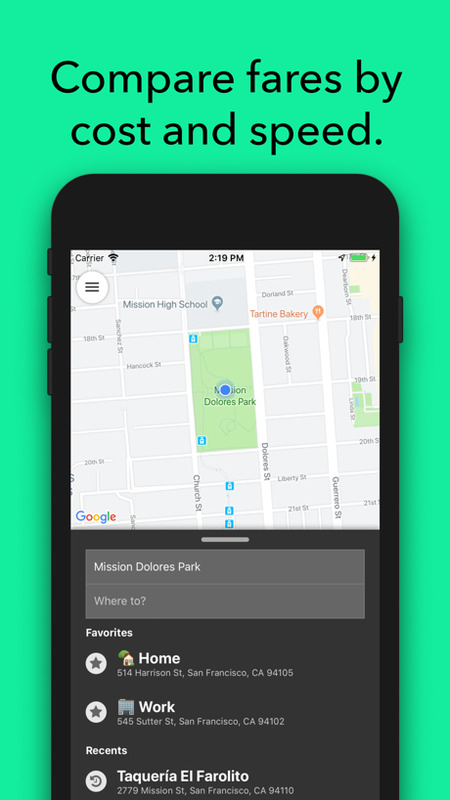 - Pickup/dropoff location change suggestions to optimize fare cost and time. Have an amazing idea for Anyride? Email us at feedback@anyrideapp.com! Awesome, we'd love to hear from you! Email us at feedback@anyrideapp.com. Go to Settings > FAQ for more information! Fixed a bug preventing Lyft drivers from linking their Lyft account. We need your help! Please go to "Settings" and tap "Send Feedback" to report any bugs you find or feedback you have. We're trying to make Anyride the best, and we need your help to get there. Thank you!